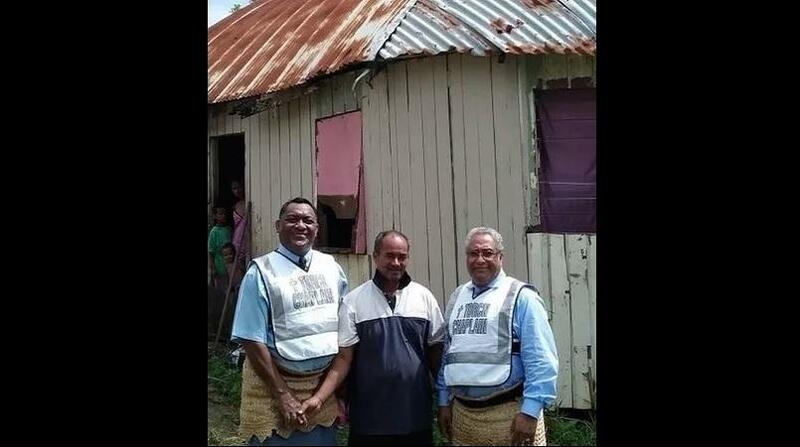 Tonga’s churches have deployed chaplains to disaster areas to help people deal with the after-effects of Tropical Cyclone Gita. Trained in trauma and grief counselling, the chaplains will spend time in the communities most affected by the cyclone before returning to the capital, Nuku’alofa. The Roman Catholic charity arm, Caritas, has also joined the relief effort to deliver supplies – food, water, and temporary shelter – to those most affected. But the chaplains at the forefront of rebuilding and strengthening the community through psycho-social support which will restore hope. The Free Wesleyan Church trained chaplains for the Tongan Disaster Recovery Chaplaincy Network in 2015 after a major disaster. Those chaplains formed the vanguard of the church’s post-TC Gita effort. Much of their time over the last two weeks has been spent talking to victims, explaining nature and allowing people to share their anger, fear or hurt.